We are OEM authorized partner for two major brands in plasma cutting technoloy : Thermal Dynamics and Hypertherm. 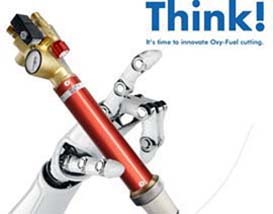 As OEM partners, we are able to provide latest technology solutions to our end users, thus providing you the best results you can find currently on the market. Integrated solutions are best option, therefore we focus on developing our machine with top of the class CNC controls, THC sensors and plasma systems. Our machines are equiped with either iCNC Performance by ThermalDynamics or Edge Connect CNC by Hypertherm. 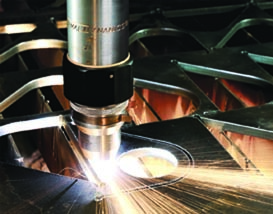 Both CNC's are top of the class, and selection of CNC is set by selection of plasma system. On some special demand and for special purpose we can use third party CNC controler. 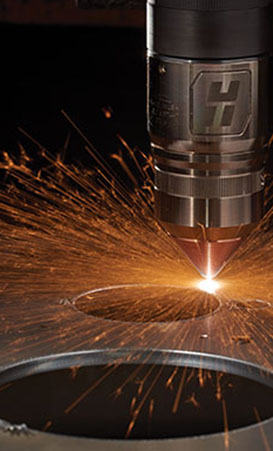 Air plasma system will provide reasonable cut quality with low operational cost. 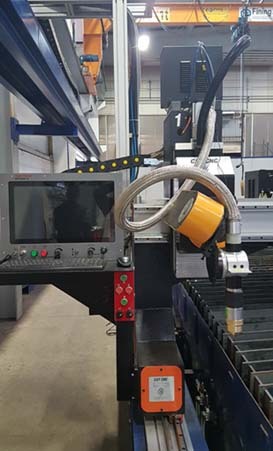 There are limitations in air plasma cutting, such as : not so good cut surface on stainless steel and aluminium, but if you are looking for low operational cost and reasonable price, there is vide selection between 40 to 120A you can choose from. This systems will give you more power and more cutting capability, while still keeping the price level on a lower side. However limitations are different in comparison to high precision plasma: cut quality, no marking proces, usually cutting with air and O2 only etc.. There is a selection between ThermalDynamics AutoCut and Hypertherm MAX PRO systems, and power range is up to 200A. High precision plasma system will provide best cut quality, highest cutting speed, enabled Diameter pro or True Hole technology. However operational cost can be higher then air plasma systems but productivity is much higher and the end result justifies the investment in high precision systems. 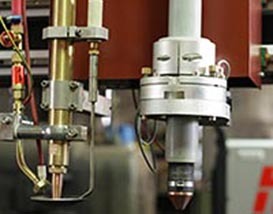 We offer high precision systems from Thermal Dynamics UltraCut range and hypertherm XPR and HPR systems. GCE and Harris are two top quality manufacturers of gas cutting equipment that we support and integrate . 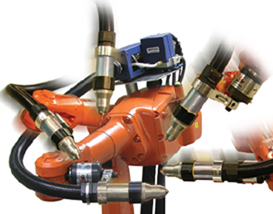 Our EON cutting machiens can be equiped with multiple oxy fuel torches for maximum productivity and low cost cutting. EON cutting machines ara available also with 3D bevel cutting systems for fast, precise and reliable plasma bevel cutting. Fully automated and suported by advanced technologies our bevel heads can execute up to 50 degree bevel cut.